1- Jack Russell Terriers are a great and friendly dog breed. However, they cannot tolerate rough play from small children. Neither can they tolerate any screaming or squealing. It scares the dogs and frightens them so they bite to defend themselves. There have actually been cases where this breed has attacked humans. 2- Australian Shepherd is originally a shepherd breed meant to herd sheep. So they confuse small children with sheep and sometimes attack them. They should not be kept in families with children since there have been actual cases when this breed attacked children. 3- Since 1982, Dalmatians have actually attacked children three times. This is due to the fact that they need open spaces and a lot of running and playing. These qualities are in short supply inside houses. When Dalmatians feel too cramped, they tend to destroy furniture. 4- Alaskan Malamute dogs are a very powerful high-stamina breed. So it is to be expected that they will knock over small children, and thus they need a lot of supervision. They also tend to be aggressive when disturbed while eating or sleeping, so they might attack if disturbed at these times. 5- Chow Chow dogs bite others if they aren’t trained and controlled well. They are so aggressive that you cant get an insurance for this difficult breed as it is on the list of many companies as a very aggressive dog. 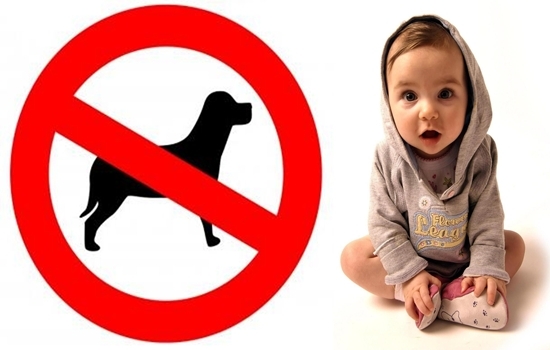 6- Although German Shepherd dogs are great as law-enforcement dogs and guard dogs, they are not good family pets. They are dominant and aggressive and thus are dangerous in houses with small children. They also need to play a lot and so they might be destructive when bored. WHY SHOULD YOU LET YOUR KIDS PLAY IN THE DIRT? How To Start Building Emergency Funds And Why Is It Important.